We all have heard the adage: ‘home is where the heart is’ – and home is hearth, where the fire kindles warmth and companionship, home should be a castle and refuge of peace. When the hearth is overflowing with poison and quarrels and bickering, pride, envy and hatred takes shape in the ill fumes from the hearth there will be no peace. When ones home is poisoned the ugly takes the place of beauty and harm takes the place of healing. This venom is then taken out in the streets and the unrest of the poisoned one will strike to all corners because the world will speak loudly about his misery. The poisoned one will ravage beauty and goodness wherever it shows it face. He will pluck the feathers of the peacock to crown himself – to throw a stolen beauty upon his poisoned state, to hide his ugliness. 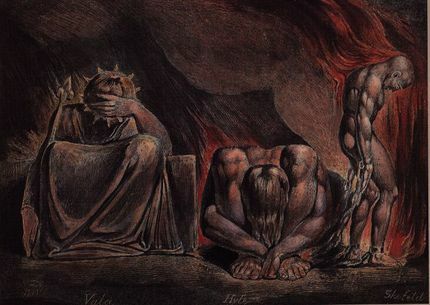 When a man get’s poisoned at his home his fruits will be bitter and his envy like coals from the caverns of hell will be flung out upon the world. Àìtú níí m’ádìe se yègbèyègbè. Njé won ò gbón see. Plucking the feathers of a living fowl ruins it. Not plucking the feathers of the fowl leaves it with its splendor. Who is the senior sibling of war. But they turned a deaf ear to the wisdom of making sacrifice. They were not wise to do so. It is at home that the war is lost before even reaching the battlefield. The message is that the venom will poison everything it touches, like goodness will transform everything it touches. It is a horrible state that is growing and growing until it finds release in war. In many ways Richard Bach gave a remedy for this when he wrote: “The simplest questions are the most profound. Where were you born? Where is your home? Where are you going? What are you doing? Think about these once in a while and watch your answers change. “ And indeed, regular moments of self reflection mediated by honesty and acceptance do hold the antidote for this most harmful of conditions.